How dangerous are conditions in Korea today? 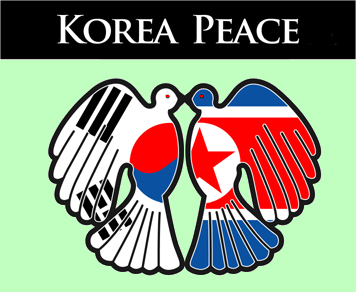 In the midst of massive USA & South Korea military operations which an emasculated press is instructed to label "war games" -- the DPRK has been strident & condemnatory. So-called defensive joint operations Exercise Key Resolve 2013 and Foal Eagle Exercise 2013 may be designed to distract. Who knows? Surely the North Koreans remember the Mukden Incident when the Imperial Japanese Army created a lame excuse to invade a neighbor... Similar cases of deceptive aggression are easy to uncover. As always: War is misrepresented and common people suffer. The leaders of both segments of divided Korea are novices at steering global power politics & directing warfare. Both leaders spent childhood as a member of their nation's First Family, with unique entitlements. Due simply to leadership inexperience, each is now highly exposed to being strategically stifled by menacing influences. Recognizing weakness, either might prevaricate, or suddenly issue capricious commands to challenge enemy psychologists & strategists, or to outmaneuver domestic resistance. South Korean (ROK) President Park Geun-hye (박근혜) is daughter of ROK former military ruler Park Chung-hee (박정희) who was assassinated while in power; her mother had been assassinated five years earlier. President Park has not yet completed two months in office, and has yet to finalize many key appointments to government. North Korea (DPRK) Supreme Leader Kim Jong-un (김정은) is 30 years old, in power for about one year. He spent some of his school years in Switzerland. Kim Jong-un follows his father Kim Jong-il (김정일) and grandfather Kim Il-sung (김일성) in leading his nation. War is sure to be horribly cruel to Korea. Let's sincerely hope further hostilities can be avoided.